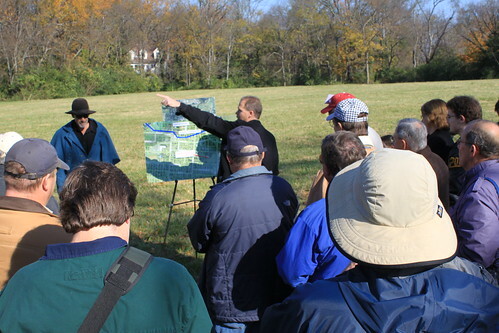 As I recently mentioned, the first-ever access or viewing of the reclaimed Franklin battlefield property – Loring’s Advance – was this past Saturday, the 5th. I attended the celebration with numerous other people. This property is land-locked behind several homes near Adams Street. 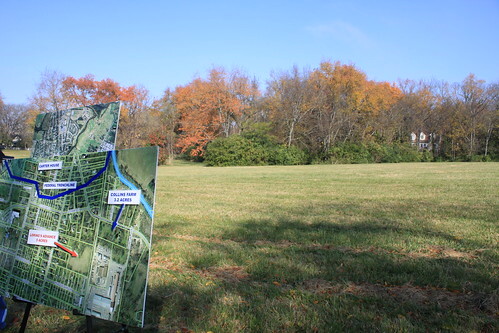 Why is this land important to the battle of Franklin story? A very sizeable Confederate division under General Loring advance upon this ground as they head northwest on the afternoon of November 30, 1864, to assault the Federal lines just a few hundred yards away. The Confederates took thousands of casualties, including hundreds killed, who are now buried in the McGavock Confederate Cemetery. Historians Thomas Cartwright and Eric Jacobson spoke. 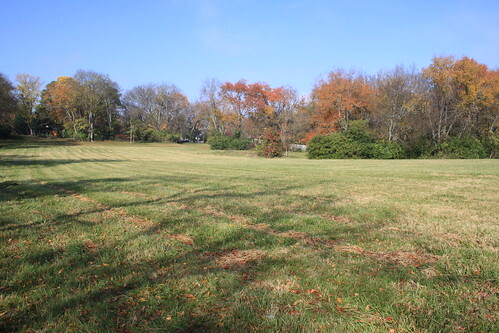 View of the property looking northwest, toward Columbia Pike. 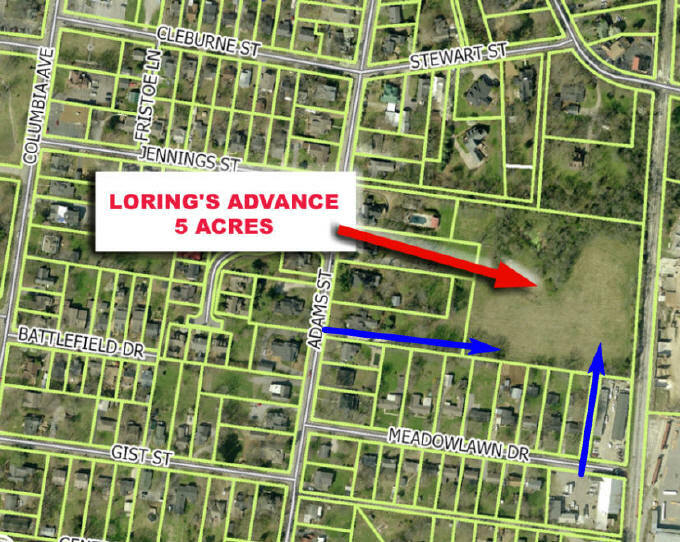 View of Loring's Advance property looking west. This entry was posted in Loring, Preservation. Bookmark the permalink. awesome pics! thanks for the post. my grandmother’s grandad John Floyd Faulk was in the 57th Alabama Infantry and I believe he was in Scott’s Brigade of Loring’s Divsion? maybe I have that backwards but nonetheless we believe he was @ franklin.